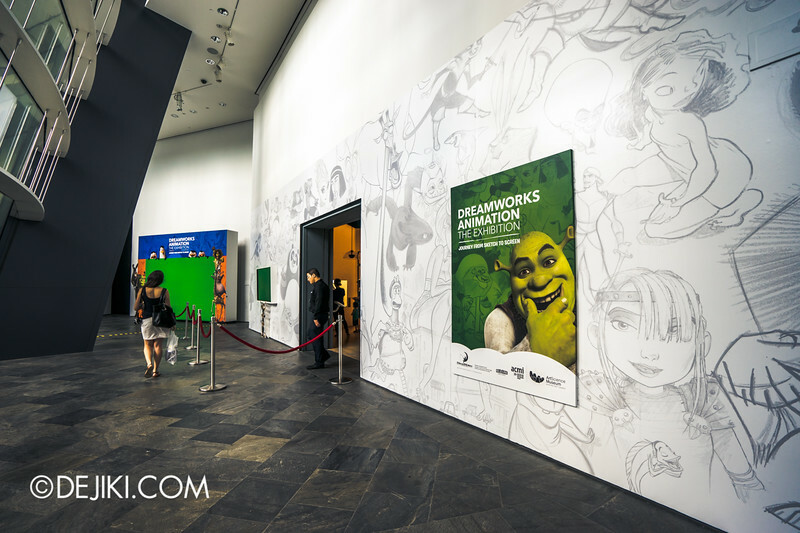 Discover the world of DreamWorks Animation films such as Shrek, Madagascar and Kung Fu Panda at DreamWorks Animation: The Exhibition, now showing at the ArtScience Museum! 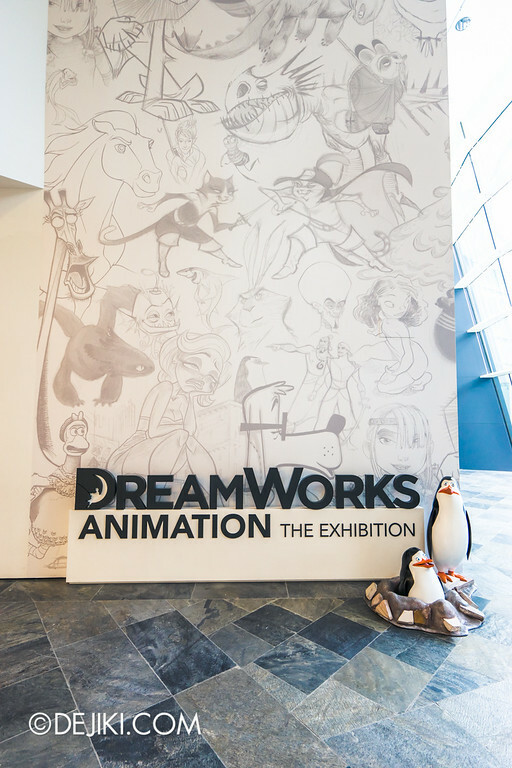 The first zone, Character, showcases the process of how DreamWorks Animation’s iconic characters come to life. 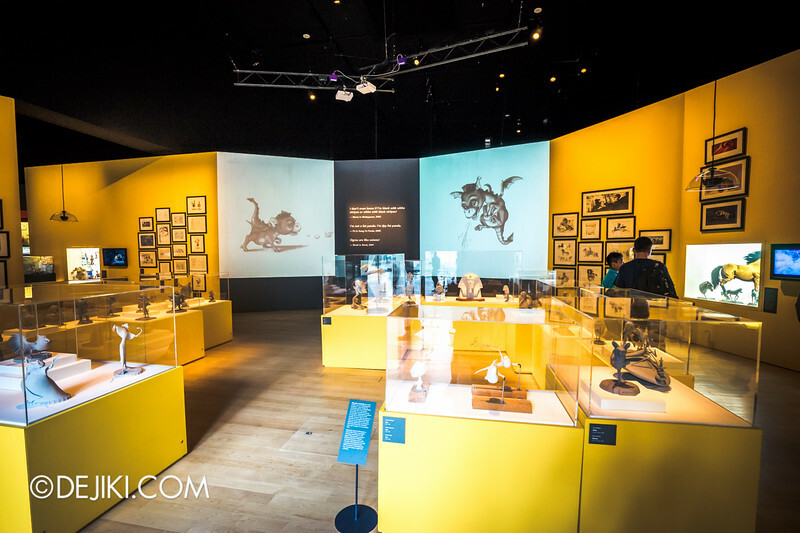 There’s over 40 exquisite maquettes and countless sketches depicting the various stages of character design development. 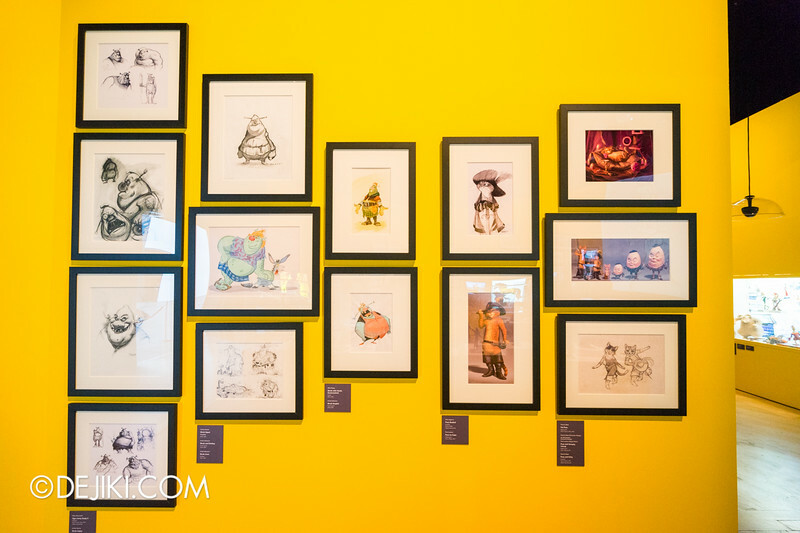 If you like Puss in Boots, you can see an original sketch here too, along with Shrek. 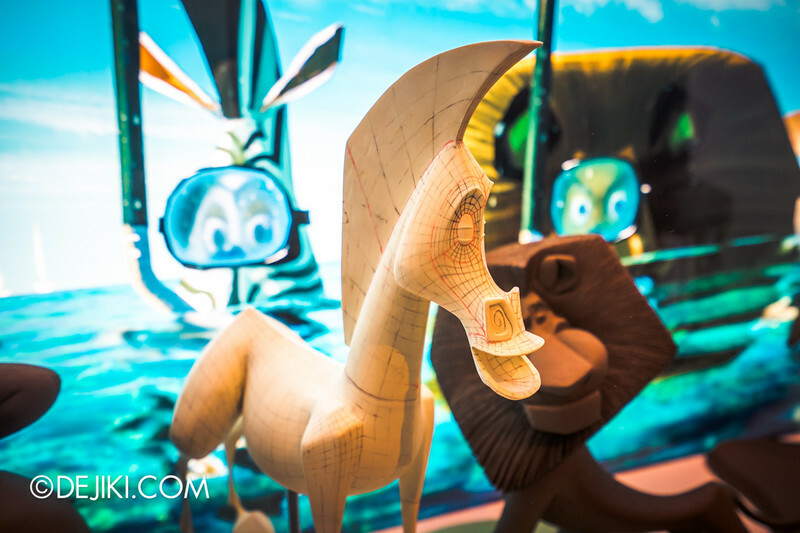 Did you know that you can go on an adventure in the skies at Puss in Boots’ Giant Journey? 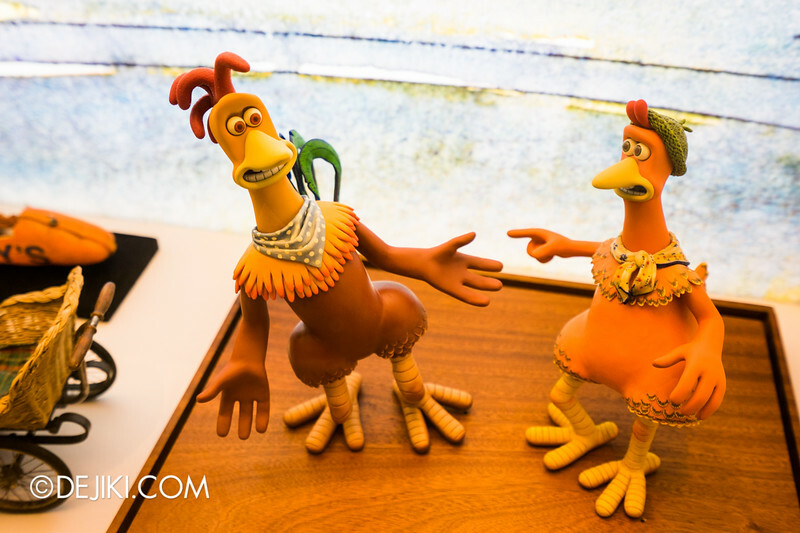 There’s even stuff from Chicken Run – Wow, that stop motion film from so long ago. 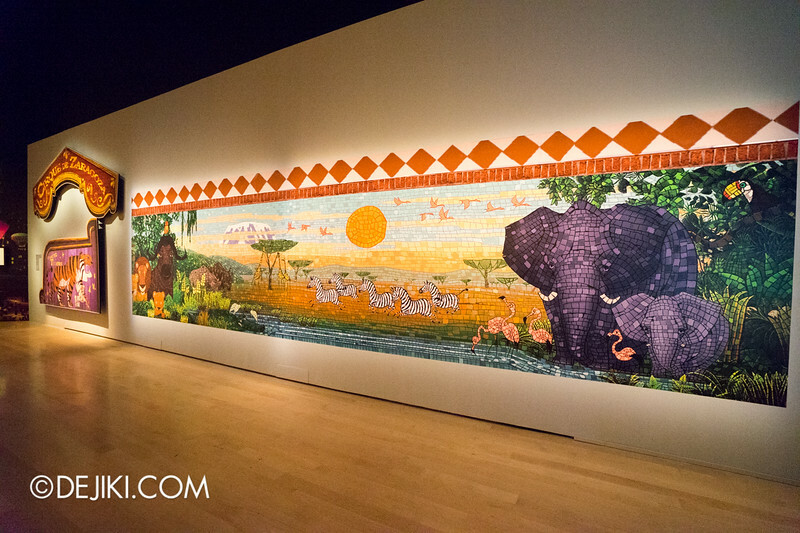 Apart from the usual displays, there are some interactive stations throughout the exhibition. 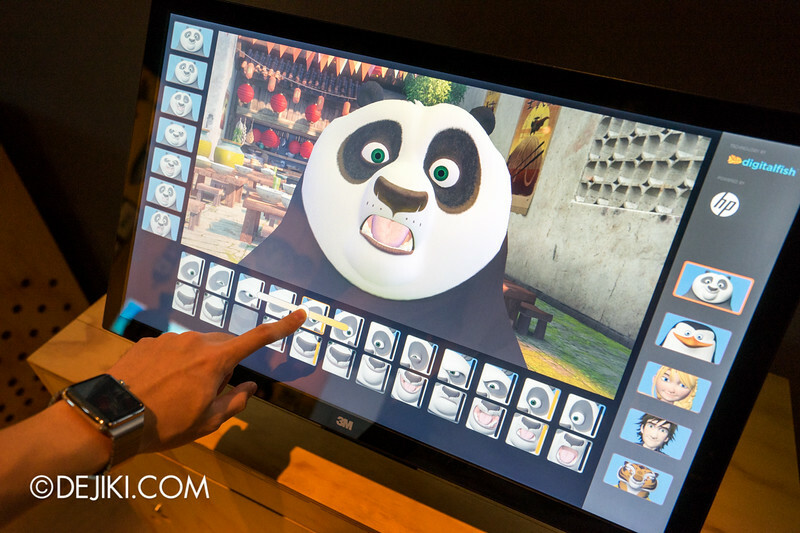 It’s a simplified face poser that renders character faces in real-time. The Story section focuses on how narratives are developed. 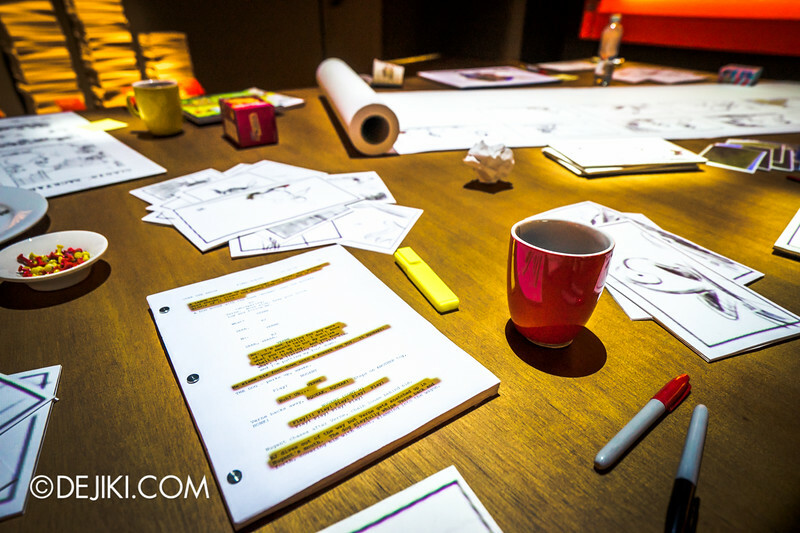 The highlight here would be the table that ‘comes alive’ and a virtual performance of Storyboard Artist Conrad Vernon pitching the Gingy Interrogation scene from Shrek. 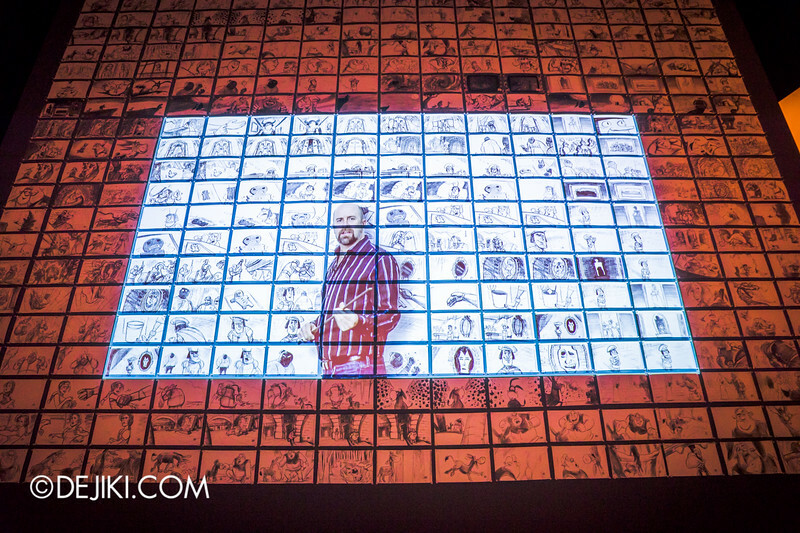 There’s a cool projection mapping effect at the table here. 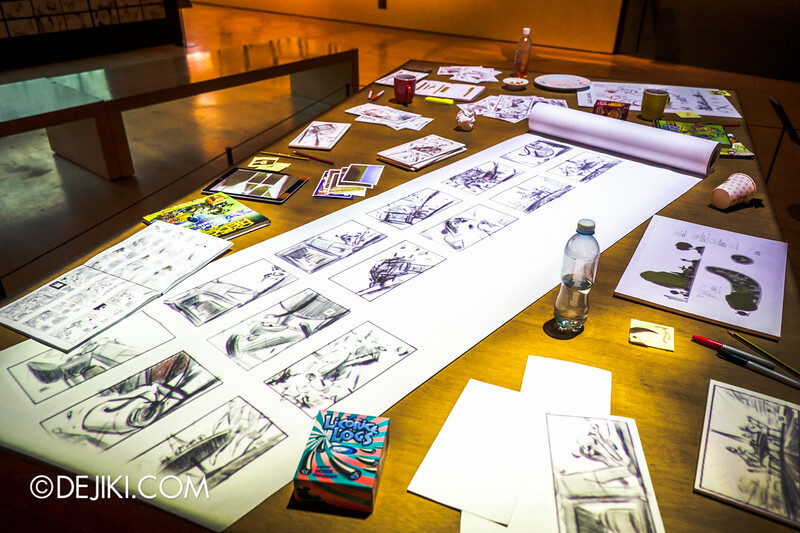 Stacks of storyboards shed some light on how complex certain films are. 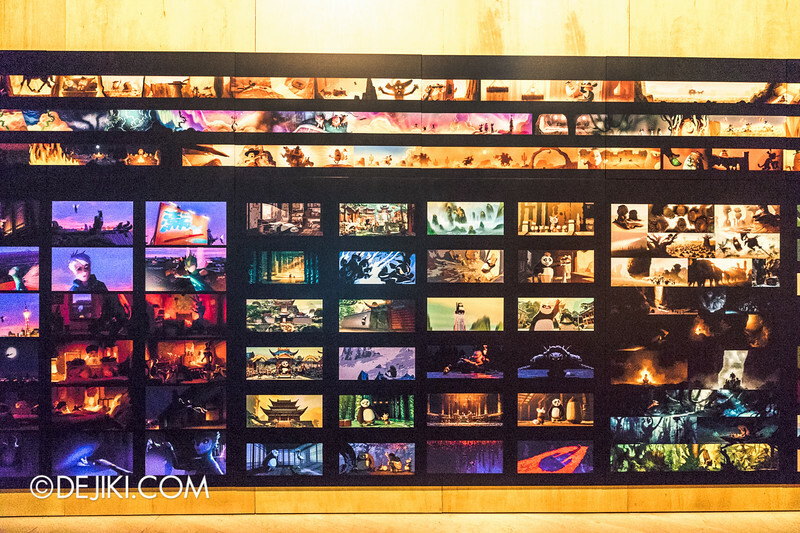 Kung Fu Panda leads with some 100,000 storyboards. The third section, World, is the largest zone. 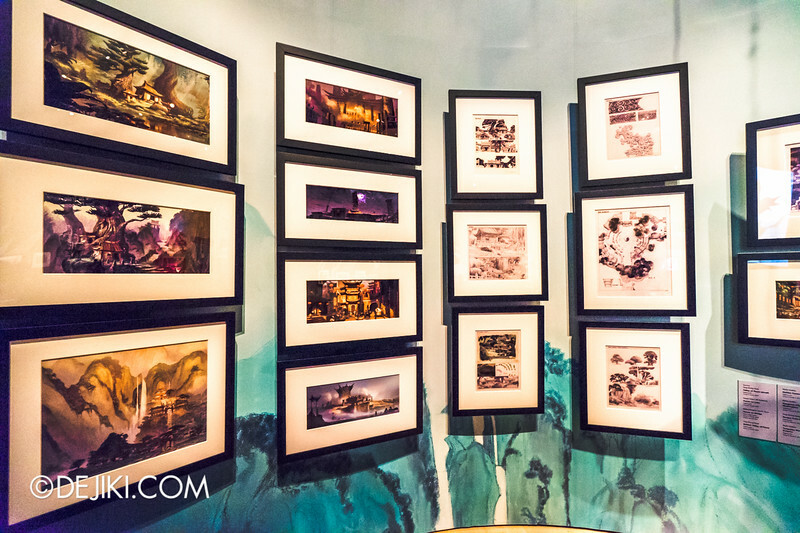 Taking up more than half of the exhibition, the entire area showcases how many of the films’ breathtaking scenes were created. 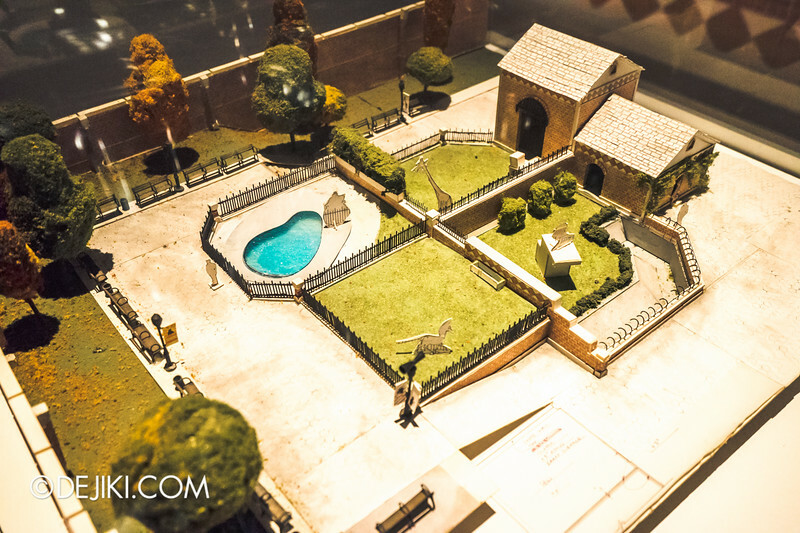 It’s concept art and scale model galore here! 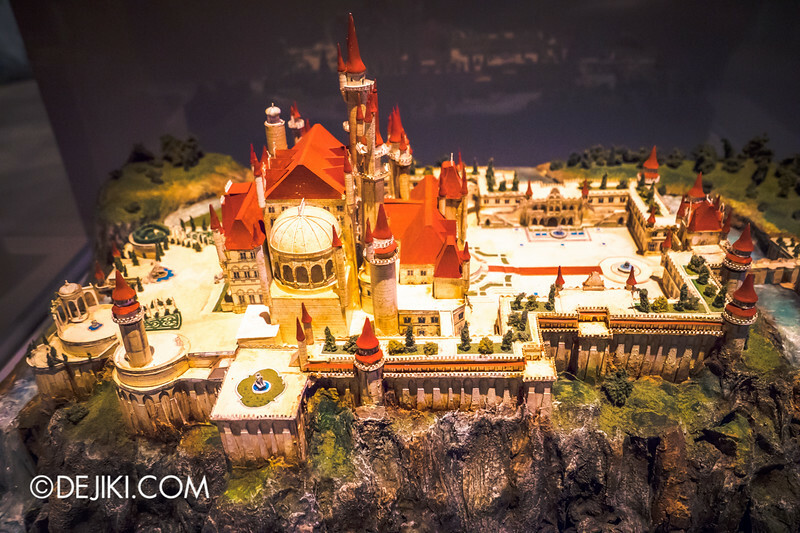 One of the nicest model is the Far Far Away castle. 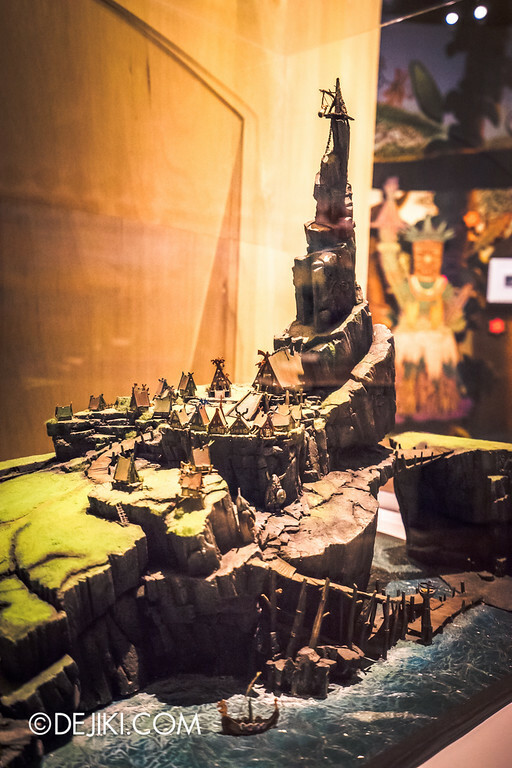 The Minas Tirith of DreamWorks’ Universe. 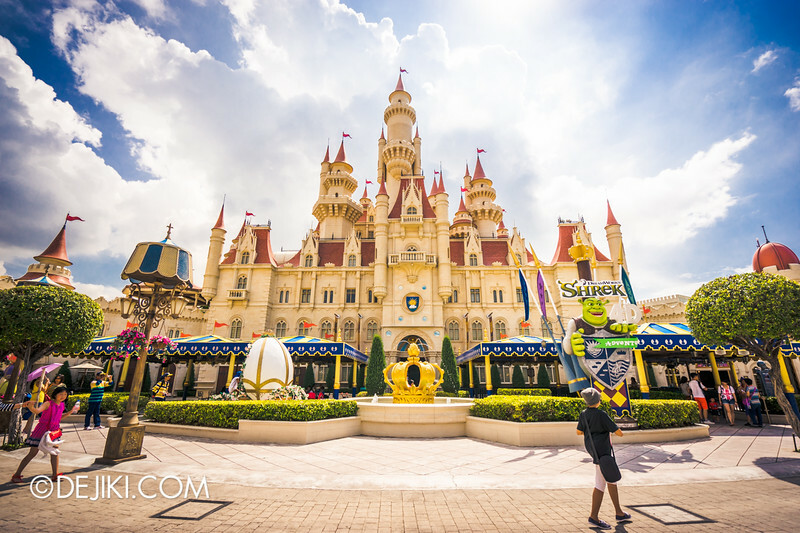 Well, here’s the Far Far Away Castle at Universal Studios Singapore. 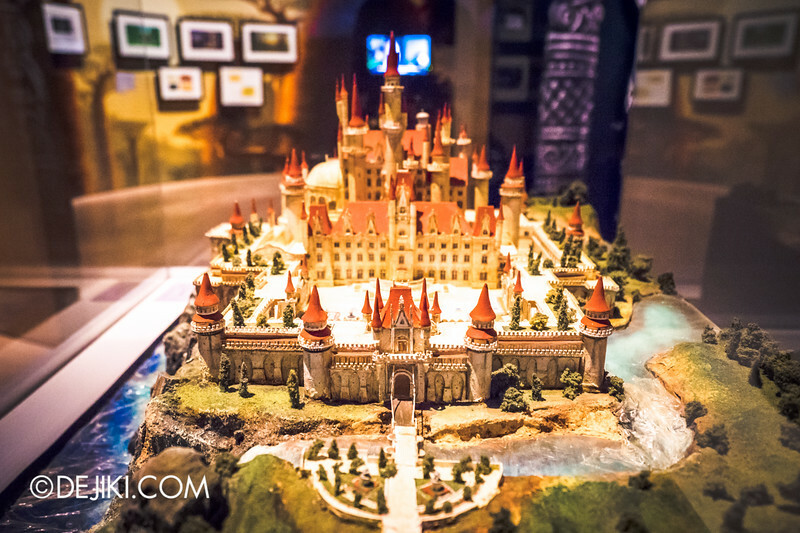 Well, the castle at Universal is much scaled down and simplified – given land and budget constraints among other factors. 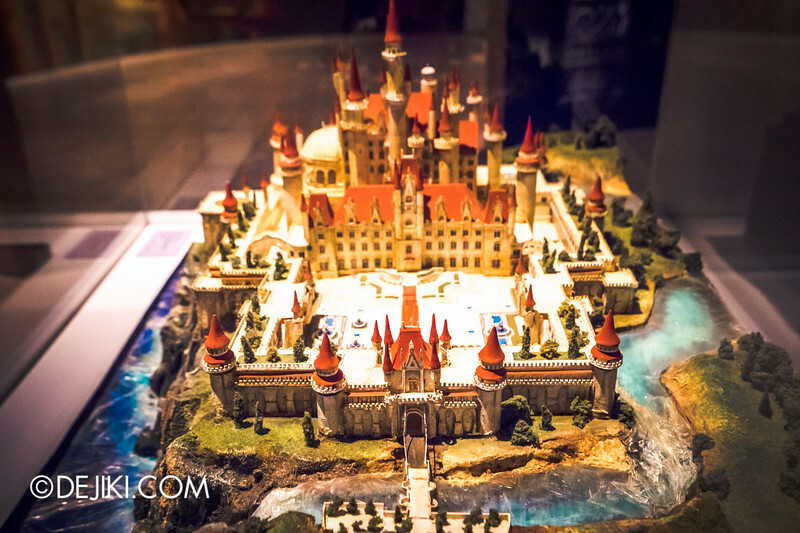 But wouldn’t it be amazing if the castle is built to full scale like this somewhere? 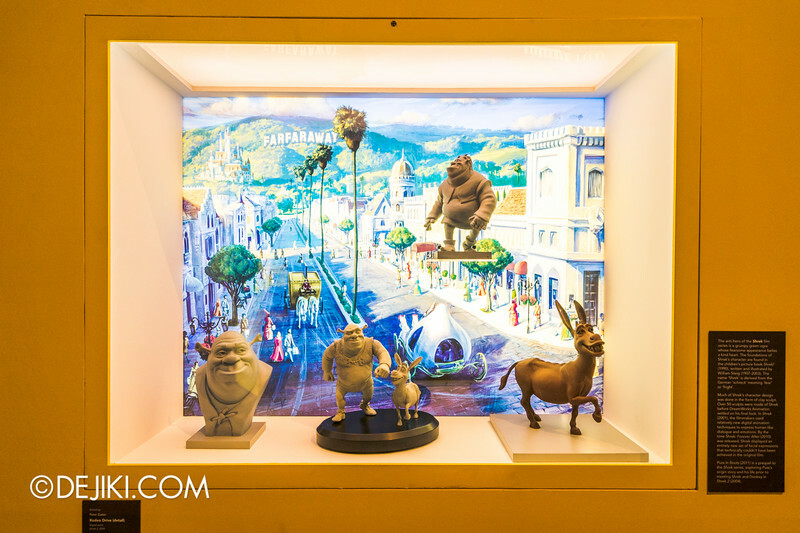 Remember these from other DreamWorks films? 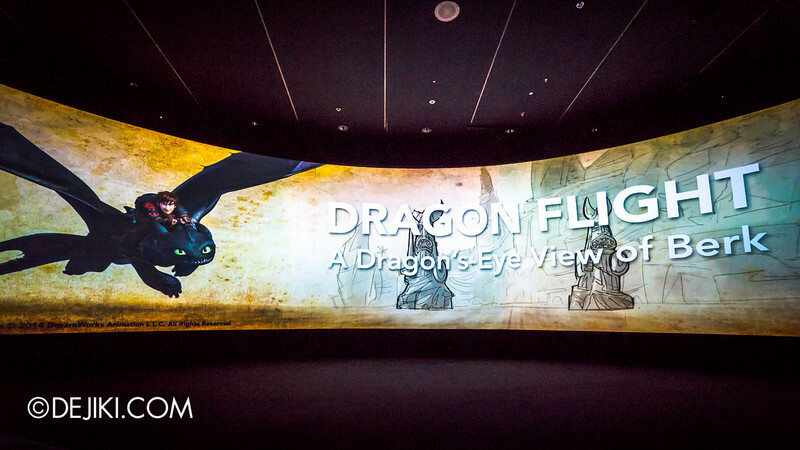 Not to be missed: Dragon Flight: A Dragon’s-Eye View of Berk. 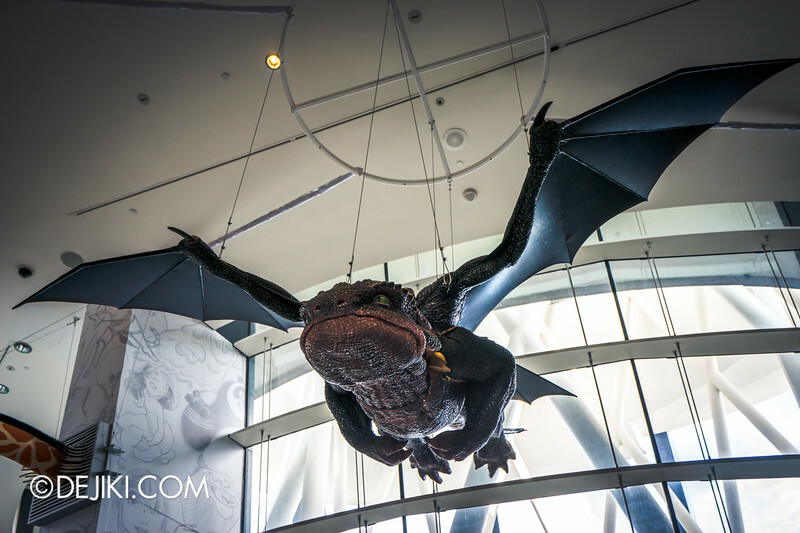 Go on a panoramic ride on the back of Toothless from How to Train Your Dragon, as the world slowly comes alive – bit by bit, transforming from sketches and wireframes. 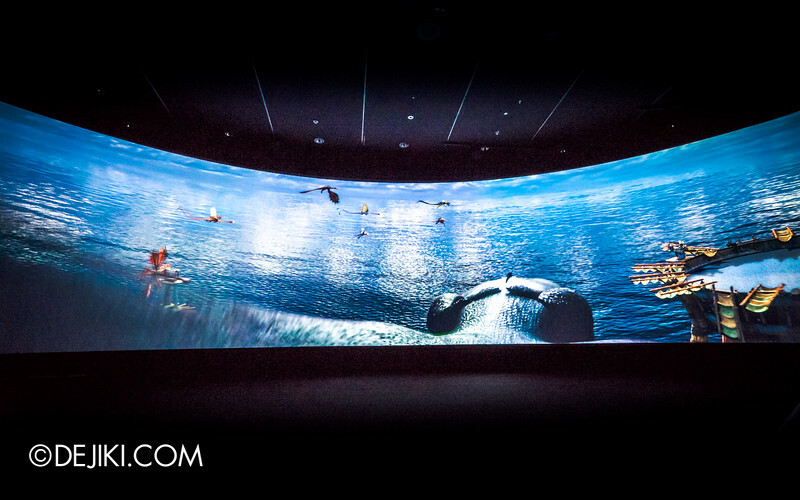 The 180-degree projection gracefully shifts into a breathtaking flight around the Isle of Berk. 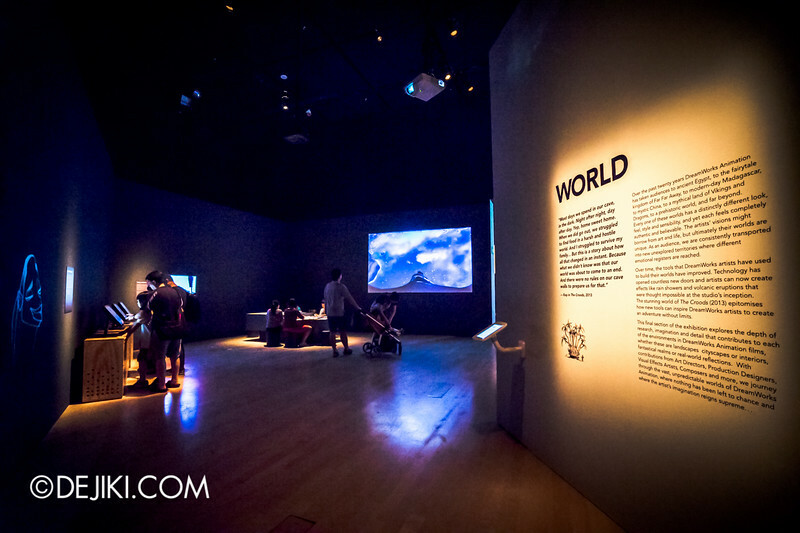 It’s a short video presentation lasting a few minutes, but still a highlight of the exhibition. 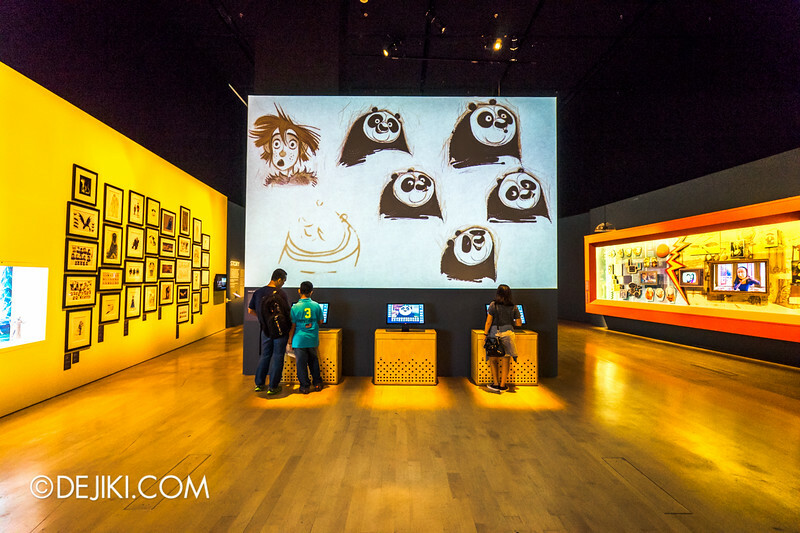 DreamWorks Animation: The Exhibition is on an international tour and Singapore is its first stop. While it was enjoyable, I felt that it was quite short. 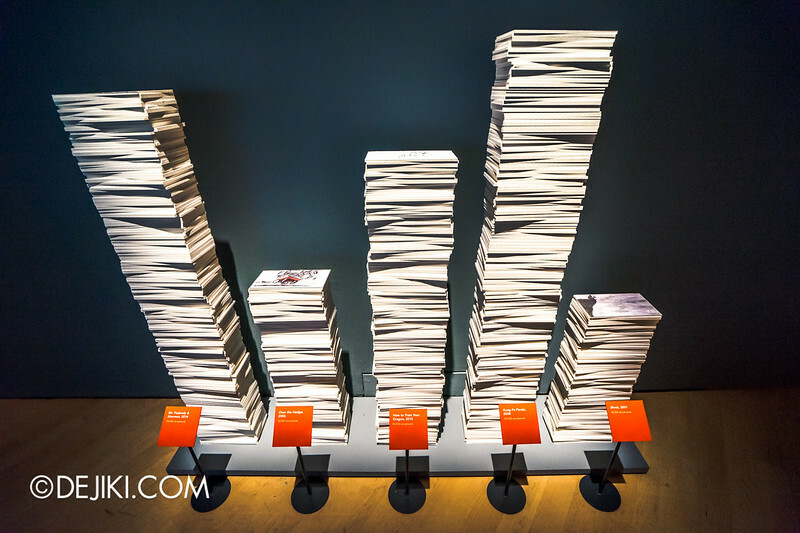 It might be challenging to showcase sufficient materials while keeping the experience interesting, especially when the medium is digital. 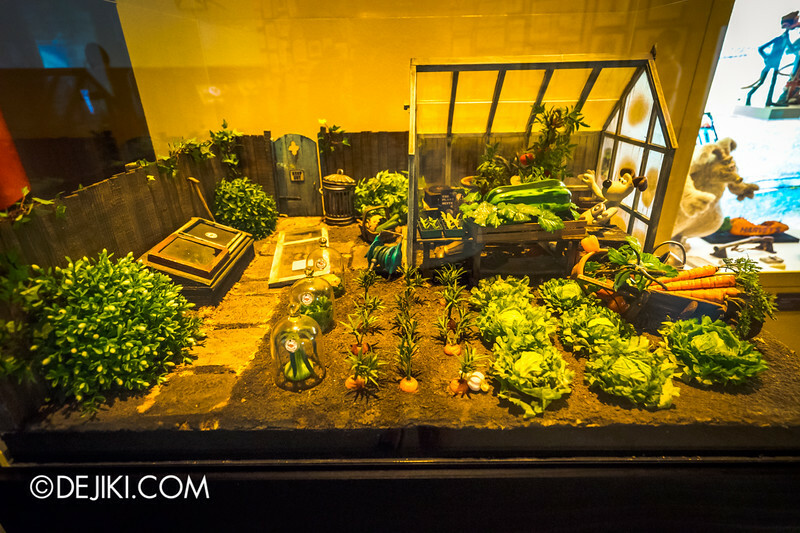 It will definitely delight kids and the young-at-heart. 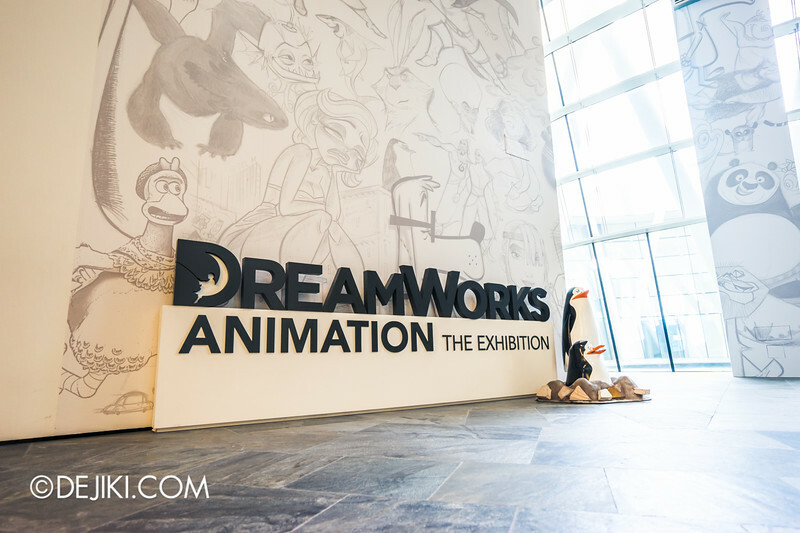 There are many small, fun activities to do here, including workshops and movie screenings (select weekends), but if you’re here for a normal walkthrough, it’ll take less than 45 minutes. 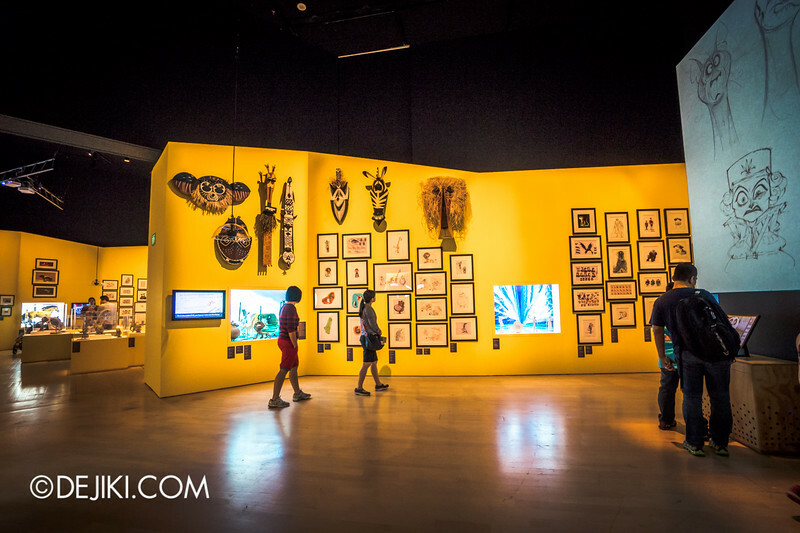 The ArtScience Museum All Access Pass (DreamWorks Animation + The Deep + Prudential Singapore Eye) priced at $27 for an adult (discounted to $20 for local residents) is an awesome deal, so take advantage of that if you haven’t been to the other two exhibitions. 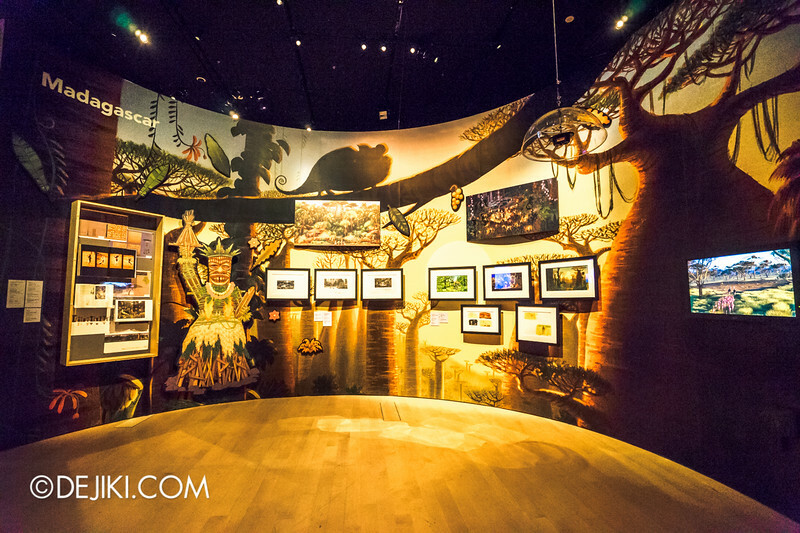 Tickets: $22 for adults and $14 for children (ages 12 and below). Singapore residents enjoy a special price. 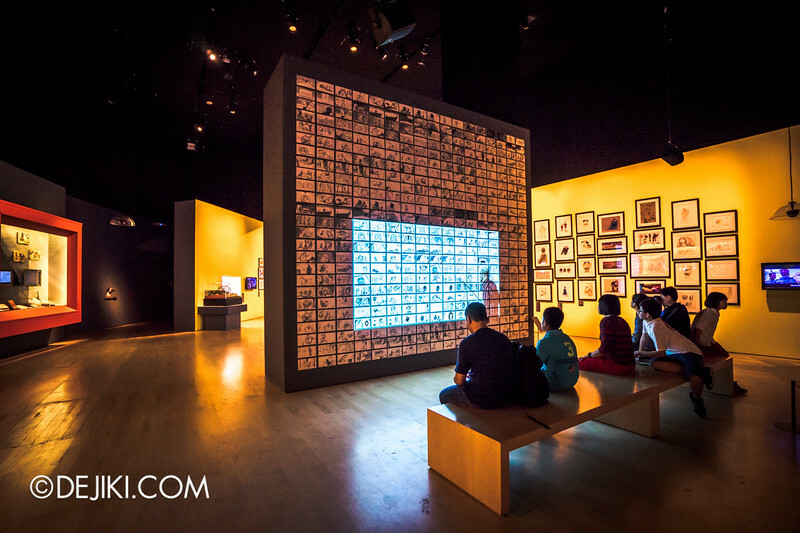 Visit the Marina Bay Sands website for more information and to buy tickets online. Is this any gift shop at the exhibition? 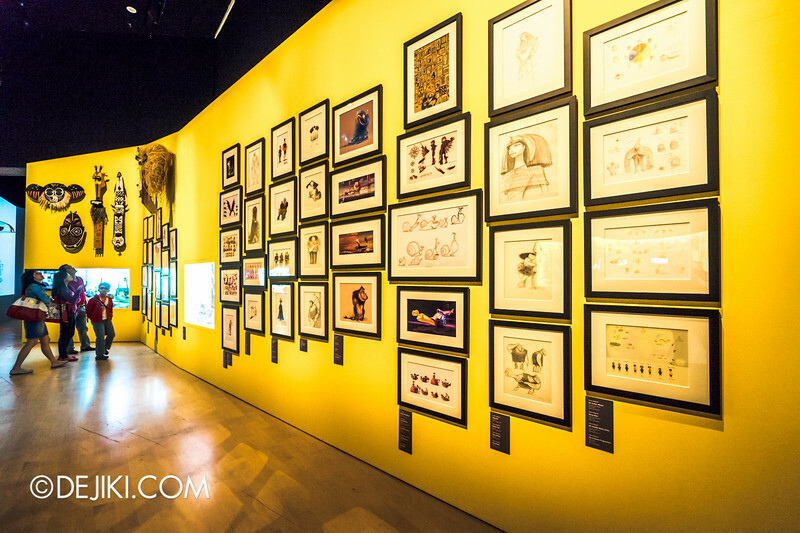 Any special item that are only can get during the exhibition?